If for some reason you need to return an item we will gladly accept it back within 30 days of your receipt of the order and give you a full refund only on the value of the item returned. There will be a $15. administration fee for your return. You must return the item prepaid and in exactly the same condition as it was, when you received it. 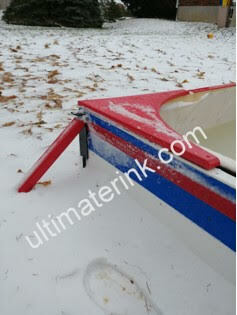 We do not allow returns on unrolled poly liners or hammered J-Brace rink stakes. 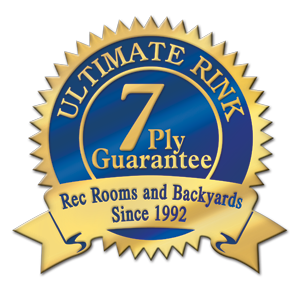 We reserve the right to inspect liners for damage upon return and not offer refunds based on condition. If you have moved it around from box to floor to garage to yard and then decide to return it, it is best to inspect it previous to your return efforts before incurring extra shipping charges by you and then not get a return refund. It is your responsibility to make sure it is in pristine shape and packaged properly for return with adequate packaging materials. 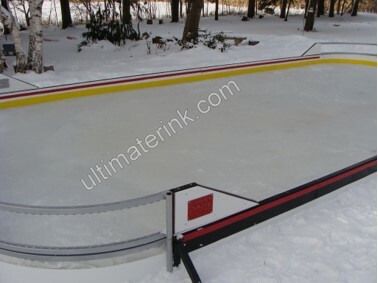 You should also note that most damage from careless handling will be on the ends where the rink poly is rolled or folded. You will need to CALL the office 1 800 448 6648 for authorization of return and discuss best way for return. There are several things you need to know and be aware of in regards with returns from the U.S.A. which will assist in the return process. Items without return authorization will not be accepted and no credit will be offered. If you are a U.S. customer returning an item please understand that there may be an extra charge applied to items at the border for border clearance plus the shipping fee levied by U.P.S. or Purolator or whom ever you have used to return the item.The $39.50 plus any extra fees will be charged to us and we would then pass along that fee to you through the refund less those additional charges.